Paris, also nicknamed "The City of Light", is the cosmopolitan capital of France and one of the most emblematic cities in Europe. With 2.2 million people living in Central Paris (some 10 million people live in the suburbs), it is one of the largest cities in Western Europe. Located in the north side of the river Seine, Paris has a well-established reputation of being a beautiful and romantic city, cluttered with historic associations and vastly influential in culture, fashion, art, fine food and classy design. Paris may well be considered the most popular urban tourist destination in the world nowadays. If you are looking for a wonderful and all-encompassing experience in sightseeing, you should try the Paris Museum Pass, a convenient and best valued pre-paid entry card that will give you access to over seventy museums and attractions. But beware, most museums and galleries are closed on either Mondays or Tuesdays - check ahead so you are not stuck with a missed attraction. The Louvre's fantastic collection will not be available on Tuesdays while you won't be able to see the impressionist artists at Orsay museum on Mondays. Take this into consideration when setting up your visits and itineraries. If you are on a budget, consider visiting national museums on the first Sunday of the month, this day they are all open and free of charge. However, this may mean long lines and crowded exhibits. If you are planning to travel on or around Easter week, be aware the city is going to be really crowded. People have to queue up at the Eiffel tower for several hours before making the ascent. You can always pick up a copy of 'Pariscope' or 'Officiel des spectacles', these are weekly magazines listing all concerts, art exhibitions, museums, films, stage plays and attractions. Paris is surely one of the greatest fashion centers of the Western world along with New York, London, and Milan. It may well be considered a shopper's paradise. While the Paris fashion scene is constantly evolving, the major shopping centers and malls tend to remain unchanged. High end fashion, style and couture can be found in the 8th district. In summer, you may window-gaze the boutiques along Canal St-Martin, or go shopping along the impressive arcades of the famous Palais-Royal. On the mostly Jewish neighborhood Le Marais, many shops are open on Sundays. Here, the stores are intimate and specialized, offering the typical "Parisian" style clothing and accessories. There is no doubt you will find something along each street and boulevard, it is always well worth the look. The Babylone (Métro line10 and line 12) area is also a great shopping ground. The area dwells some of the most recognized fashion houses like Chanel, Jean Paul Gaultier, Versace, and many more along smaller private boutiques with handmade clothing and shoes. 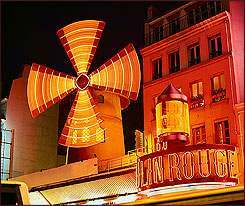 When you stay at a Paris vacation rental, you will enjoy the familiarity of the true Parisian atmosphere. You can go out and visit your local pastry shop, get a baguette and comfortably have breakfast in your own studio or flat. You can then take a hike to one of the many public parks, go sightseeing around the neighborhood and then take a casual lunch in one of the many bistros and cafes. The nightlife is unsurpassed, with many different ethnic clubs, bars and lounges that make this a truly multicultural, multicolored city for everyone. Seth Llanos is a travel editor and associate travel consultant for http://rentalo.com . Mr. Llanos has extensive experience in the lodging and hospitality industries. 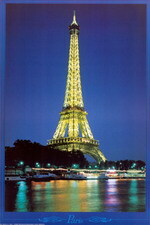 For more information on Paris vacation rentals, please log in to Rentalo.com.